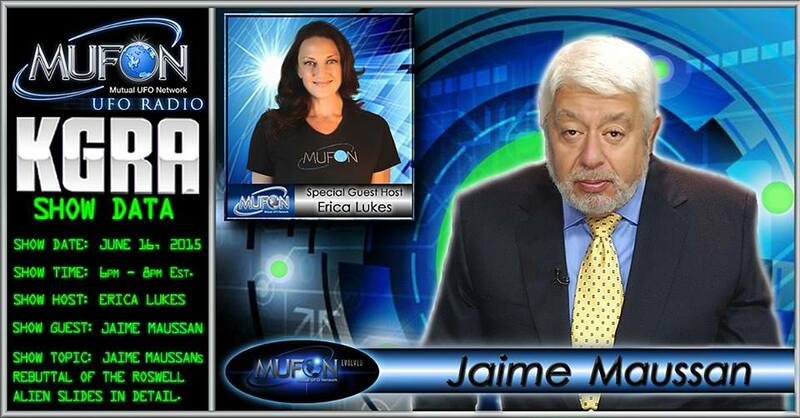 Jaime Maussan was an honored guest at the annual MUFON Symposium. There was considerable controversy about his inclusion, and in June he was invited on their KGRA program with Erica Lukes to deflect some of the criticism and to defend BeWitness and the Roswell Slides. 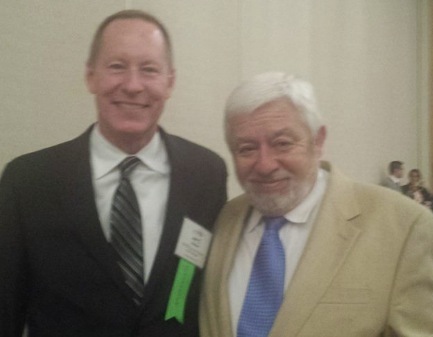 Another long time UFO Speaker and Journalist is Jaime Maussan fresh from the “Roswell Slide” controversy. Several people have asked me why he is speaking at the MUFON Symposium and my answer is pretty simple. I invited him at the beginning of 2015, well before the slide discussion, and my reason for doing so is because he has some of the best UFO video footage I have ever seen. 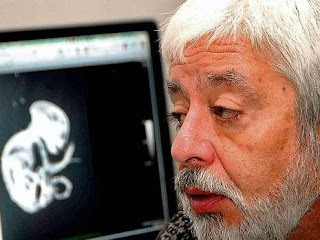 Being involved in UFOs over the past 40 years, and owning his own television station and TV show in Mexico, Jaime has tens of thousands of people from all over the world sending him their UFO videos. He has narrowed these down to the 100 best videos you will ever see in this field. I have had the good fortune to see his presentation twice in the past year, and I can tell you it is quite impressive. So much so that I am looking forward to seeing it a third time! I might also add that right after Jaime speaks on Sunday... we hold a Panel on “Making Ufology Respectable” with the idea being that if there was ever an event or breakthrough in Ufology how would or should we as Ufologists go about announcing it to the world. He proposed using the “Roswell Slide” experience as an example to learn from. Leading up to the Symposium, Maussan had been silent for months on the Slides, but during his presentation of UFO video clips a segment was devoted to the Roswell Slides. He claims that the body in the Slides is not the body pictured and described in the National Park Service documents, or the placard identifying it. Here's video of the presentation, but sadly, the audio is lost less than half way in. 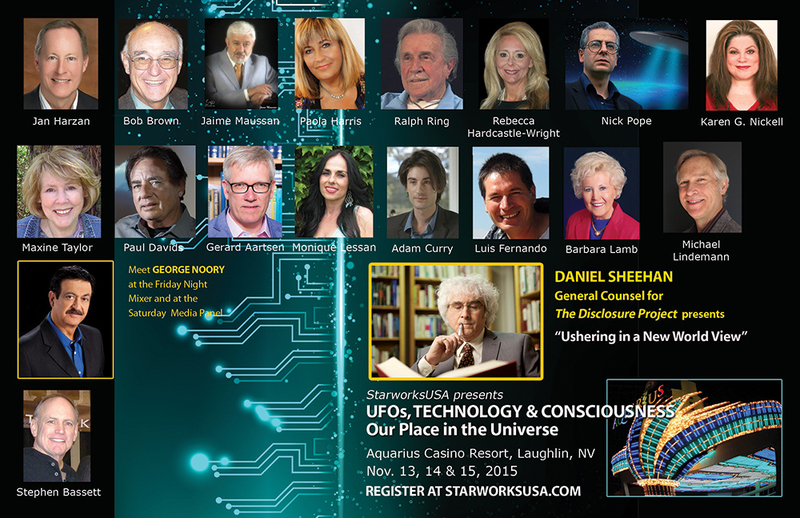 With Stanton Friedman, Robert Wood, Jaime Maussan, Marc d'Antonio, and Cheryl Jones. This panel asks the question what IF the UFO community were presented with the smoking gun evidence that would end the debate on UFOs permanently. How should we go about substantiating that evidence and presenting it to the scientific community and general public in a credible way that ends the debate on UFOs permanently? Is this even possible? Would anyone listen? The "Roswell Slide" announcement will be used as one example and lessons learned discussed about what went right and what went wrong, and how can we do even better next time. Lee Spiegel joined the panel, and provided the only criticism of the Slides fiasco. He said that he avoided the story, and that if you are trying to present a smoking gun, don't hype it before you have finished your investigation. MC John Greenewald seemed to give him a pass, saying that Maussan had brought a lot of attention to ufology, and that he shouldn't be blamed for trying. Most of the other discussion was hypothetical, panelists saying what kind of evidence they would try to present as proof or how they'd do it. Maussan asserted that he had done tried to do everything right, but it was rejected by critics and disbelieved since it happened in Mexico instead of the USA. He said the case is not closed and that experts in Mexico are still studying the evidence. 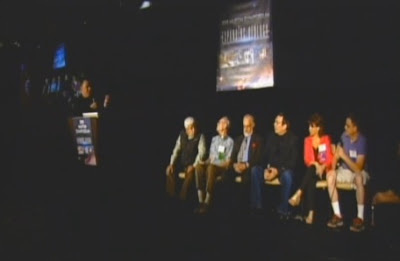 Maussan left he panel early, and no solid conclusion was reached on how to make Ufology respectable. Maussan heavily advertises his participation in the MUFON Symposium, using it to enhance his status. He offers a replay of it to his paid subscribers at Tercer Milenio. Maussan Productions has a new book out, available through iTunes for $19.99. It's listed as BeWitness, detrás del caso Roswell by Tomas J. Carey, Donald R. Schmitt & Jaime Maussan. The ad and excerpt don't mention the Slides, it just alludes to "new evidence." At present, the book is only available in Spanish. 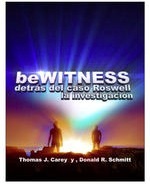 Se Pospone el Debate beWITNESS, Recompensa beWITNESS, Dos posibles Seres No Humanos, Comparación Forense del Cuerpo de beWITNESS and Comparación del Ser de beWITNESS. The presentation is listed as an analysis and debate, but only Dr. Miguel Angel and his INACIFO associates are mentioned. The participation of the Tom Carey, Don Schmitt, Adam Dew and other financial parters is unknown. This event is free to attend, although there is no mention of the free streaming of this event as previously advertised. 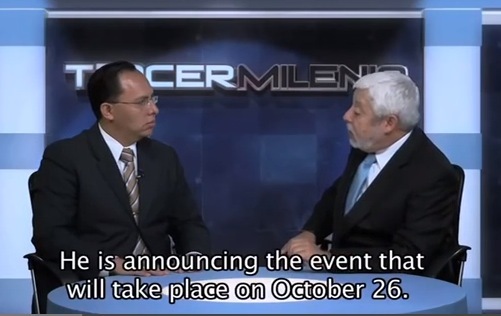 There's been no mention of the event outside of Tercer Milenio, nothing on their Twitter or Facebook accounts or the personal ones for Jaime Maussan. It's almost as if they are avoiding international exposure for this. To the jaded eye, it would appear that Maussan is staging this event in an attempt to salvage a wedge of doubt that the Slides show an unusual body. Maussan has been through this kind of thing before. He has a long history of holding on to and promoting discredited UFO and alien stories. The BeWitness fiasco stink seems to have landed on Carey and Schmitt. For Maussan, business goes on as usual.